Reverend Suzanne Anulis-Bardo, LMT is a NY licensed massage therapist and Holistic Healer that uses various forms of therapeutic touch and homeopathic remedies to help her clients regain a better quality of life. At a very early age she found that she had the ability to help heal with touch; and went on to study many forms of modalities to help with rehabilitation from injuries, and chronic pain. Pain is and overwhelming drain on the brain and the body, and may lead to stress and depression if not addressed. If you sit all day at a computer, or stand all day at your job, have young children, sports injuries, have had an auto or motorcycle accident, a fall, or just wish to feel better than you do now, this may be the place for you. All treatments are given in a clean quiet environment, and may include many forms of modalities specific to you for reducing pain and discomfort. Deep Tissue, Chinese Meridian Therapy, Reiki, Kinesthetic movement are just a few types that may be used during your massage. Many clients come in monthly for continued relief and call if there is an issue that has arisen. Sue is also very excited to announce that she have launched a small Homeopathic book on Kindle. The title of my book is "The Recipe That Changed My Life" and may be purchased for $2.99 on your Kindle or notepad reader. You may use the link www.amazon.com go directly to the site. It contains four recipes and Homeopathic remedies that have helped her, family, and friends overcome health issues that doctors prescriptions failed to cure. So if you have : an auto immune disease, HIV, diabetis, fibromyalgia, allergies, persistant colds or virus, respiratory problems, cellulitis, Lime's Disease, Rocky Mountain Spotted Fever, Black Mold issues, poisonous spider or insect bites, or other health problems, this book may be helpful. Please, take a look to see if this is something that might interest you. If you know anyone that suffers from similar health issues please, pass this website on to them, as it may be as beneficial for them as it has been for many others. I wish you success in healing yourself. Sue was chosen "Woman of Excellence" 2007, 2008, and "Woman of the Year" 2009, 2010 by The National Association of Professional and Executive Women, and is featured on their website http://www.napew.com/ . She is truly grateful to be selected out of the many women professionals to receive this award. 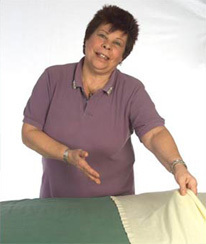 She also was the recipient of the BEST OF ROCHESTER AWARD for Massage Therapy 2009 and 2010, 2011. Sorry I do not respond to emails.